The girls before the bake sale! 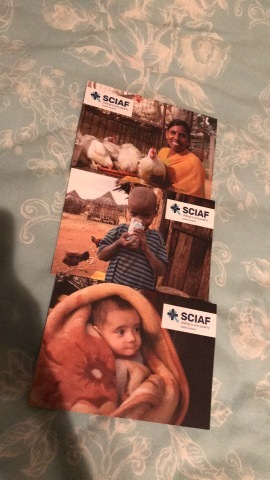 SCIAF are the Scottish Catholic International Aid Fund. They are the official aid agency of the Catholic Church in Scotland. They are inspired by Gospel, guided by Catholic social teaching, reach out with love to global neighbours in need regardless of gender, class, race and religion. They are strongly driven by their values of dignity, empowerment, solidarity and hope. A world without poverty, where the poorest of the poor can survive by equipping them with the tools and teach them the valuable skills they need in life. With their values they believe that in caring for the whole person, including emotional, spiritual wellbeing, political voice, culture and community life, as well as how they support themselves and their families. They want to help people to be in control of their life and be able to provide for themselves and their families, learn skills, live in peaceful communities with power over decision which may affect them so they know their full potential. SCIAF work with local organizations and charities overseas so people who need the help the most will get it first. And closer to home they inspire schools, public and parishes to all work together to build a better future for all, especially those who need it. They want to help the poorest of the poor to thrive. Real gifts are a great way of giving an ethical gift that makes a difference in the world for people, their lives and communities. When we buy a real gift we are providing something that is of vital importance to families that live in Africa, Asia and Latin America. 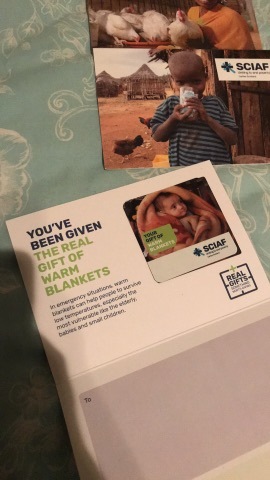 The idea behind SCIAF’s real gifts is for people to support the charities work in poor countries around the world by making donations instead of buying a present for a relative or friend that may end up being unwanted. SCIAF real gifts provides lots of essential items from school books and farming tools to chickens and goats. They even provide a water lifeline to help farmers keep their crops alive. 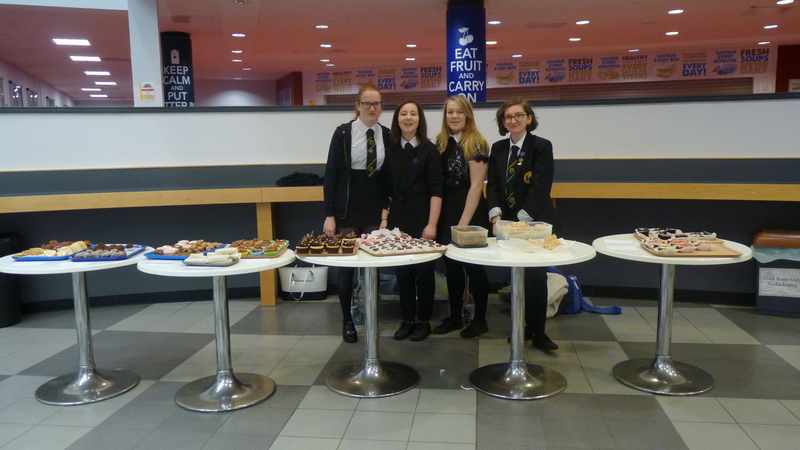 We have held a bake sale in school to help raise funds so we can buy real gifts for those who need them most. As a school we can help buy smaller items like seeds, books, blankets, tools, farm animals and a shelter for a family. We could put the money all together and buy something bigger for a community or we could buy lots of little gifts to help those in need. Barely anything left! What a successful bake sale! How did we really help? 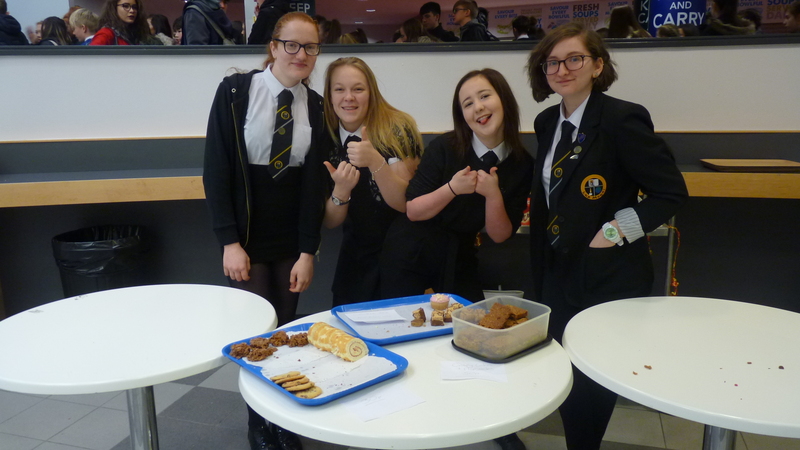 Through our bake sale we raised £106.20. A lot more than we had anticipated. Using the money that we raised, we purchased real gifts from SCIAF. This included chickens, warm blankets and emergency water supplies among many other things. It is important to remember that the bake sales we hold are not for nothing. Sure, it’s great to be able to purchase some home baked goods. However, your money is having a big impact on the lives of those less fortunate than us. We’d like to thank everyone for the donations given. The letters received to confirm the purchases.